The Kinsmen Club of North Bay is pleased to announce that it has joined other Kin Canada clubs across the nation in selling an exclusive hockey book that will benefit local community projects and cystic fibrosis research. 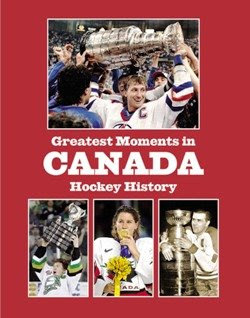 Greatest Moments in Canada Hockey History is a soft cover commemorative book that recounts Canada’s 50 all-time greatest hockey games and its unforgettable heroes throughout the country’s storied hockey history in NHL, junior’s, women’s and Olympic competition. The Kinsmen Club of North Bay hopes to sell the 144-page book to members of the community over the next few months. "With the purchase of this book, you are helping Kin Canada raise funds for community projects and to fund research and treatment programs for the Canadian Cystic Fibrosis Foundation (CCFF),” says Mike Croghan, chair of the Kin-CCFF Liaison Committee.